พวกเขาได้รายงานว่า ผู้ที่กระโดดเชือกทำให้ตัวโดดขึ้น ๆ ลง ๆ จะรู้สึกหายหิวลงยิ่งกว่าผู้ที่ขี่จักรยาน. 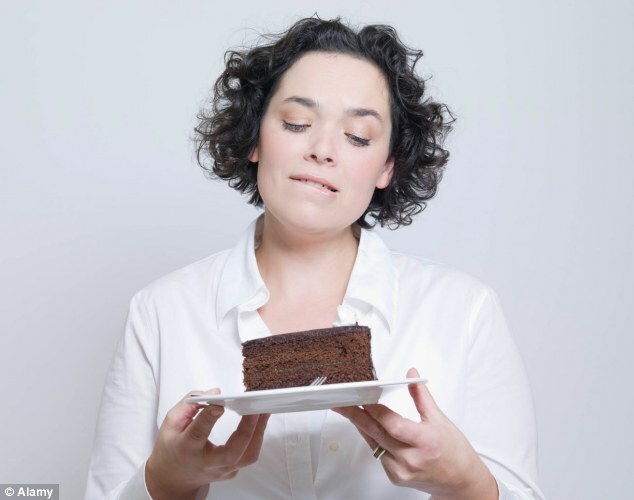 If you fancy yet another slice of cake, start skipping. And if you can’t stop craving that biscuit or packet of crisps, keep it going. Grabbing a skipping rope is one of the best ways to curb your appetite if you are trying to slim down, a study has found. 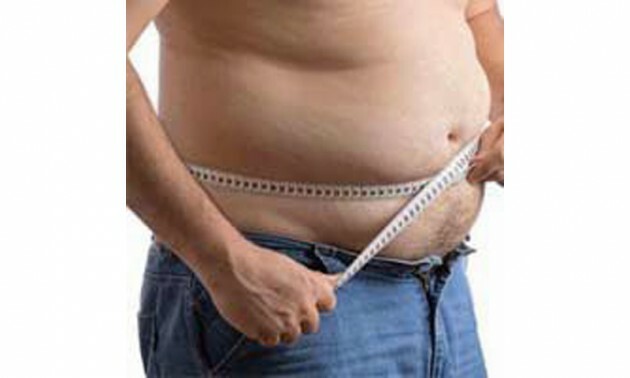 Scientists – and most dieters too – already knew that physical activity of any kind can act as an appetite suppressant. They decided to compare skipping and cycling to see which was best at keeping hunger at bay. They found those who skipped for a few minutes were much less likely to snack than those who had ridden a bike. This is thought to be the first time scientists have demonstrated skipping’s powerful effect on hunger. During the study, 15 men in their mid-twenties were asked to fast for 12 hours. They then took part in three separate trials. One involved skipping with a rope for ten minutes, followed by a five-minute rest. After doing this three times they rested for two hours. They repeated the exercise, this time using a static bicycle and, in the third test, did nothing but rest. Throughout the experiments, the volunteers were asked how hungry they felt and had blood tests to assess levels of hormones known to help control appetite. The results, published in the journal Appetite, showed the men were less hungry after skipping than cycling. The researchers, from the Faculty of Sport Sciences at Waseda University in Japan, believe skipping works best because it is a weight-bearing exercise, in which the muscles and joints bear repeated impact from hitting the ground. The theory is that the rapid ‘up and down’ movement disturbs the gut and possibly interferes with the release of hormones that govern appetite. Cycling, on the other hand, is not weight-bearing and although it is also an excellent way of getting fit, is less likely to stop us from getting peckish. But there was little difference in hormone levels between the two activities, scientists said. This suggests skipping does not necessarily work by causing a bigger drop in hunger hormones than riding but by some other mechanism. 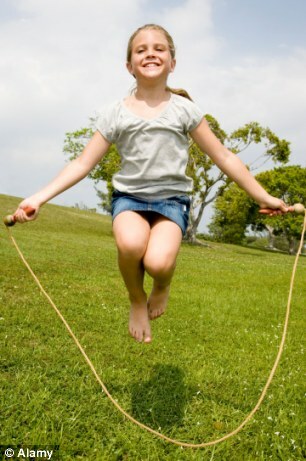 In a report on their findings the researchers said: ‘The suppression of hunger during rope skipping was greater than that during the bicycle exercise, despite the similar energy expenditure between them.